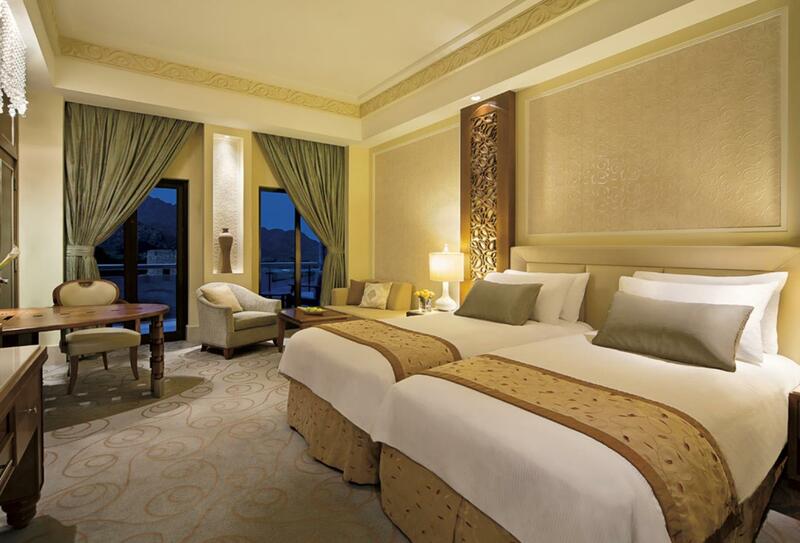 The Al Bustan Palace Muscat, Oman is steeped in culture and history and has been refurbished in the summer of 2018. It is located between the Sea of Oman and the Al Hajar mountain range. It features a private beach, several lagoon-style swimming pools, a children’s pool and playground and lots of water sports including sailing, kayaking and snorkelling. There are a variety of refurbished rooms and suites featuring private balconies and some feature a swimming pool and kitchen. 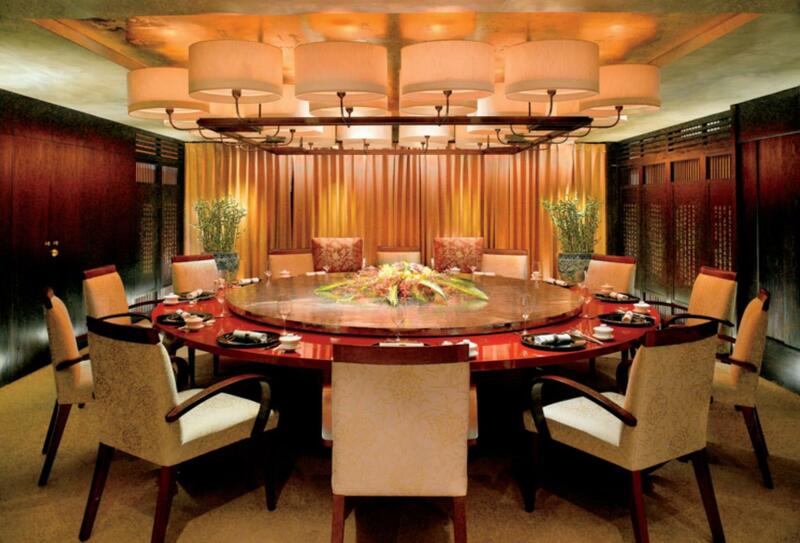 There is a range of restaurants to choose from including China Mood which serves traditional Chinese cuisine made by authentic Chinese chefs, afternoon tea and buffet-style cuisine. Expansive windows allow natural light to flood the interiors of these spacious guest rooms. 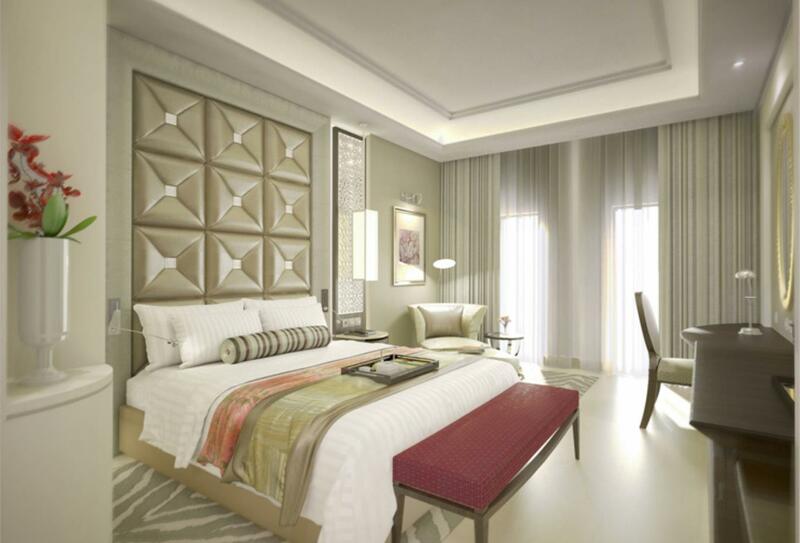 The private balcony overlooks views of the Al Hajar Mountain range. 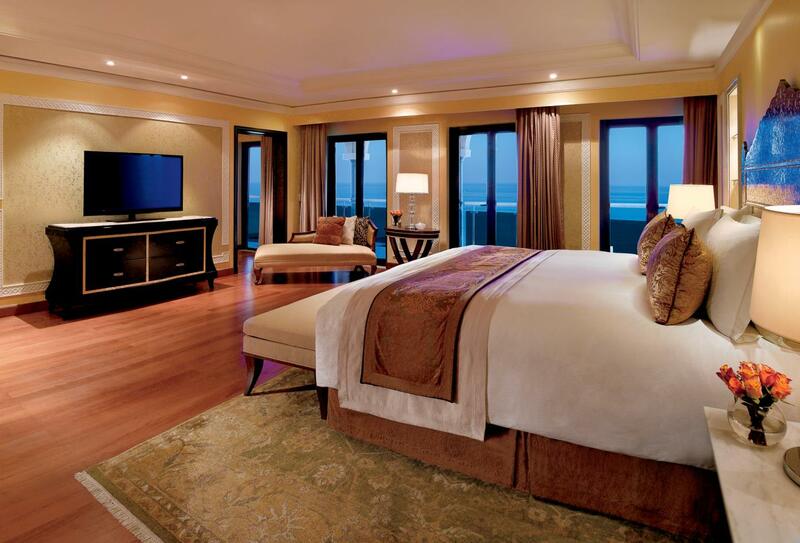 This room features a king-size or twin beds, a private balcony and pool view. 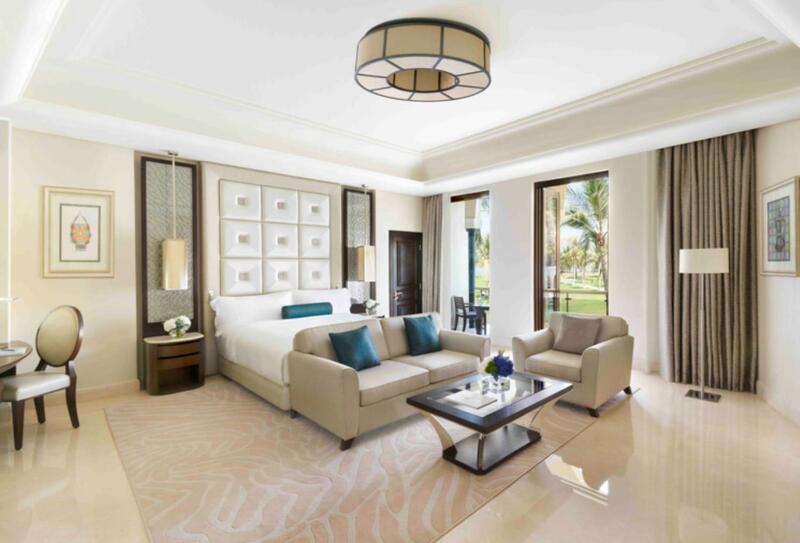 This room features a king-size or twin beds, easy access to the lagoon pools, a large private terraxce and sun loungers. 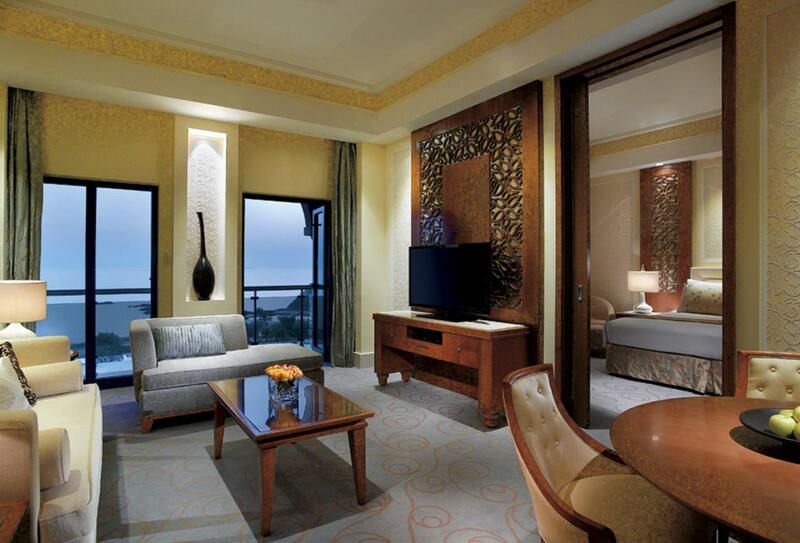 The Deluxe Sea View room features a king-size or twin beds, a private balcony and sea of Oman, beach, pool and garden view. 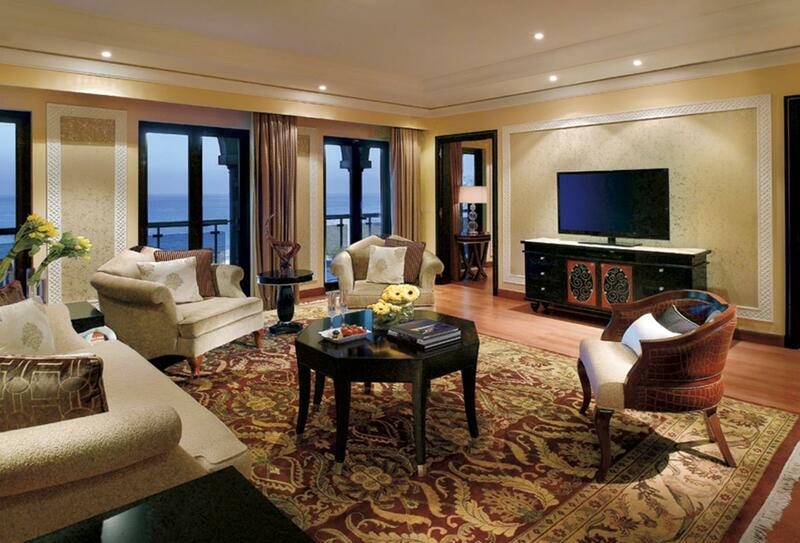 The Junior Suite features a sitting area, private balcony and either a king-size or twin beds. 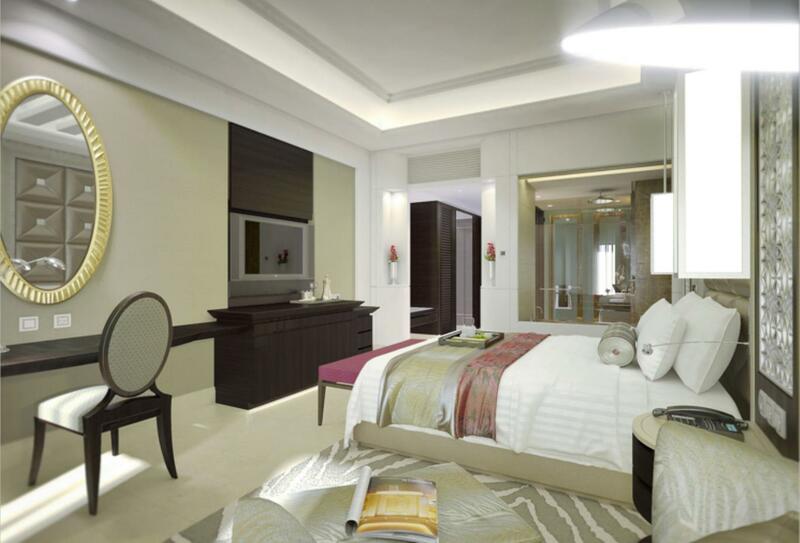 The Executive Suite comprises a separate bedroom, walk-in closet, living room and dining area, as well as a private balcony with views of the Al Hajar Mountain range. 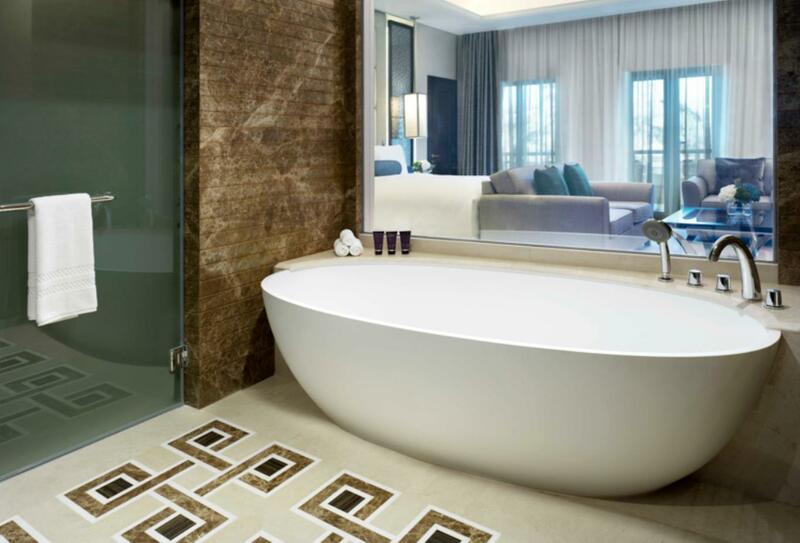 Covering a generous 80sqm, the Executive Suite comprises a separate bedroom, walk-in closet, living room and dining area, as well as a private balcony with sea views. 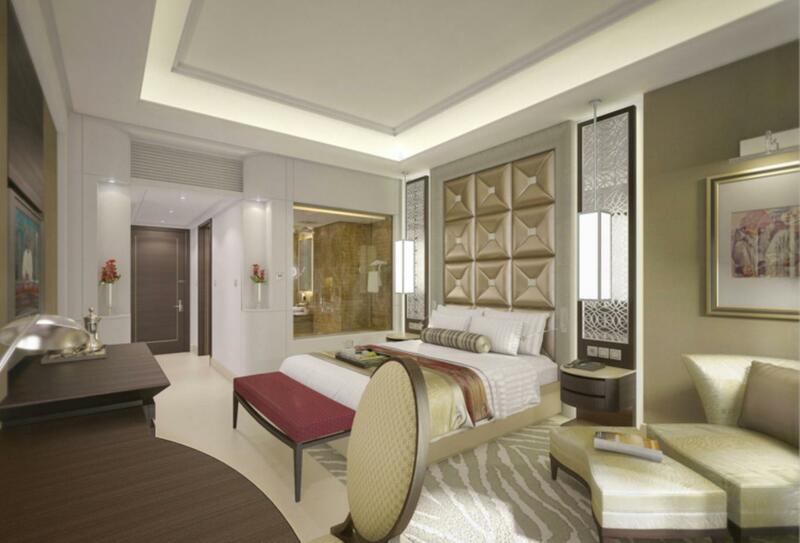 The Family Suite is made up of a deluxe room connecting to a junior Suite and features two rooms with king-size or twin beds, sitting areas and two private balconies. The Presidential Suite is made up of two bedrooms and includes a separate seating and study areas, a fully-equipped kitchen and dining area. 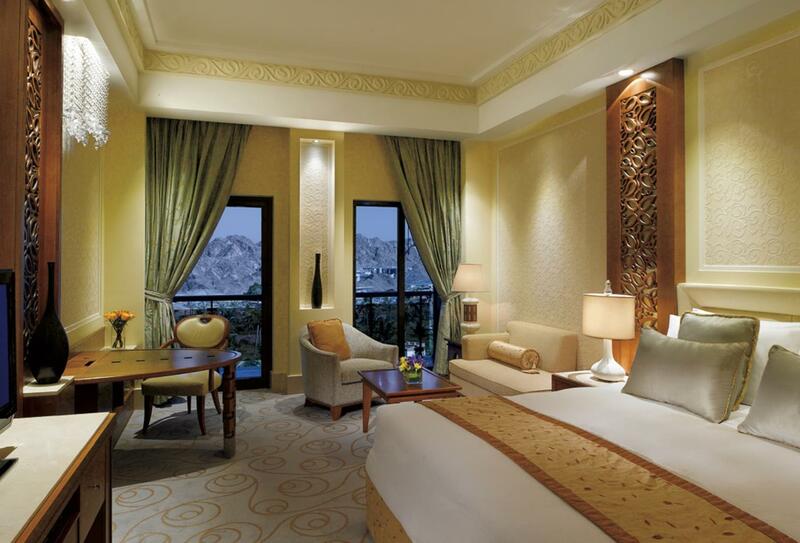 The private balcony overlooks views of the Al Hajar Mountain range. 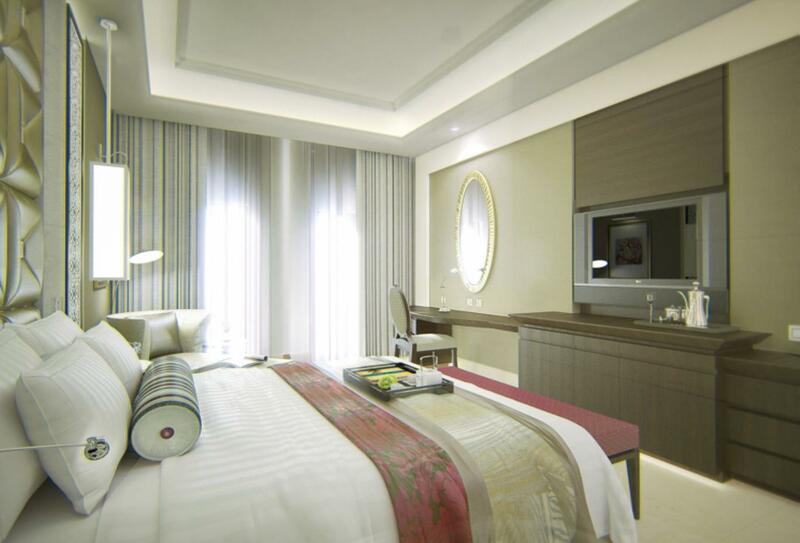 The Presidential Suite is made up of two bedrooms and features include separate seating and study areas, a fully-equipped kitchen and dining area. The private balcony overlooks sea views. 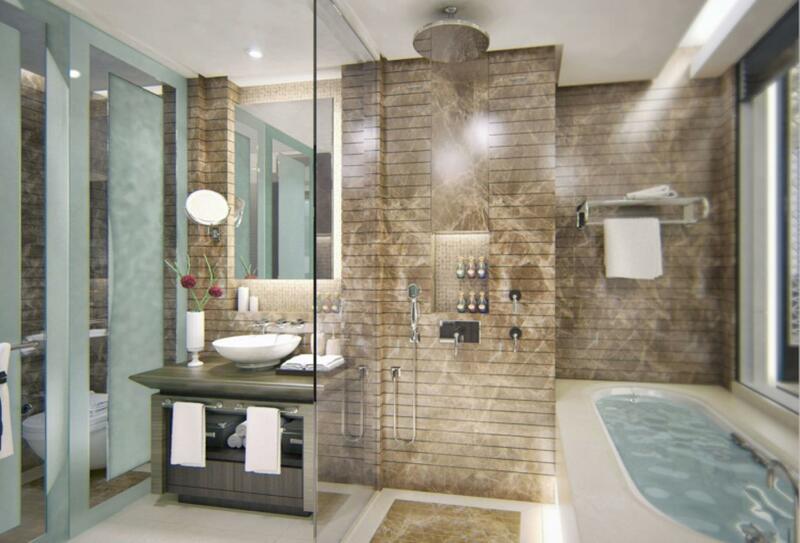 3,300sqm, half male and half female, couples area. 17 treatment suites. Ladies-only members area. Serving lunch and dinner and serving fresh seafood. Serving authentic Chinese dishes made by Chinese chefs. Featuring outdoor seating and two levels starting with a buffet breakfast each day, an international lunch buffet and live cooking stations. Dinner brings themed buffet nights and an a la carte menu. Blu is located in the garden, by the pool and features traditional comfort food and drinks. Featuring a 38-metre-high dome and serving a collection of teas and treats. 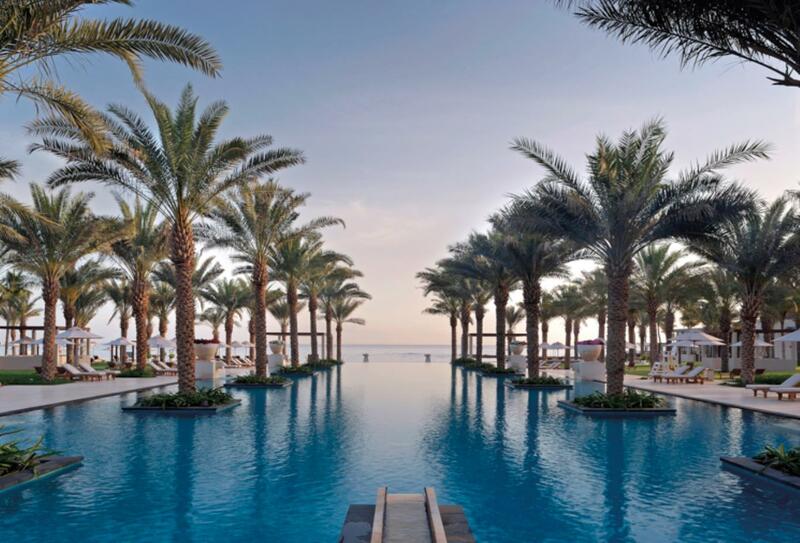 Al Bustan Palace, A Ritz Carlton Hotel is located on its own private beach, around a 15-minute drive away from the centre of Muscat. The all-new Muscat International Airport which opened in March 2018 is situated 40km away.